Brian grew up on a citrus farm in the Hills District and managed his parent's farm from a young age. 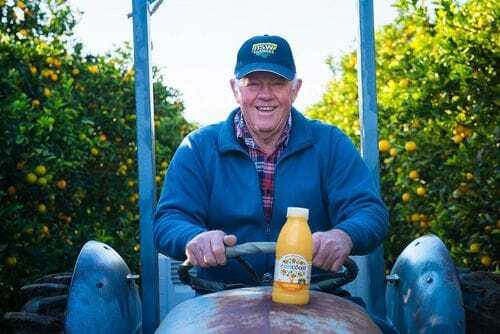 His Central Coast story started when he purchased a Mangrove Mountain citrus farm in 1965. 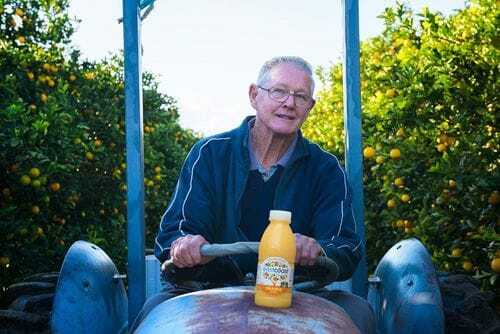 Back then, he sold oranges and lemons through an agent and to fresh juice manufacturers in Sydney, Gosford and Parramatta. Reg Bennett's farm is a story about family and community. His father bought 80 acres of prime Mangrove Mountain land in 1936 to grow oranges and lemons. He cleared 14 acres by hand with a combination of gelignite and hard work. After the war, bulldozers finished the job. Today, Reg and his brother are successful second generation farmers with 40 acres each. 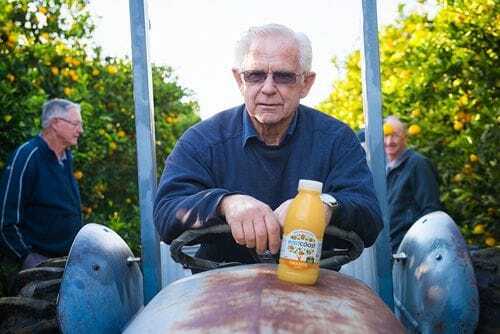 With three children, seven grandchildren and 40 acres of precious citrus fruit, Reg doesn't have much time for hobbies, although he enjoys a game of tennis with Frank at Eastcoast Juices. Reg is well known locally on the Central Coast, as evidenced by his Order of Australia award for service to his community, and his invitation to be an Olympic torchbearer in 2000. A true story of family and community! With 6,000 citrus trees to care for on Wyuna Farm, it's just as well that Rodger Wilson loves the great outdoors. Rodger and his wife Lorraine have farmed here since 1965, and the family history goes back even further. Lorraine's father Ray Walpole bought 20 acres of Kulnura bush back in 1933. Once the land was cleared, he grew carrots, beans and tomatoes while his newly planted citrus trees were maturing. Lorraine married Rodger and after a spell in New Zealand, they returned to the family farm to help Ray. That was 1965 and they have never looked back! Today, along with son Greg, they grow oranges for Eastcoast Juices and have four meat chicken sheds. Ross Hitchcock's farming story goes back to the 1800s, when his family had farmland, including citrus trees, in the Sydney Hills and Hawkesbury districts. Ross's grandfather moved to Kulnura on the Central Coast and purchased the current farm in 1936. The property had some rich history including an old water-powered sawmill on site. The farm started out with passionfruit, followed by tomatoes, stonefruits and oranges and lemons. The fresh fruit juice market was in its infancy, so fruit was mainly sold for consumption. 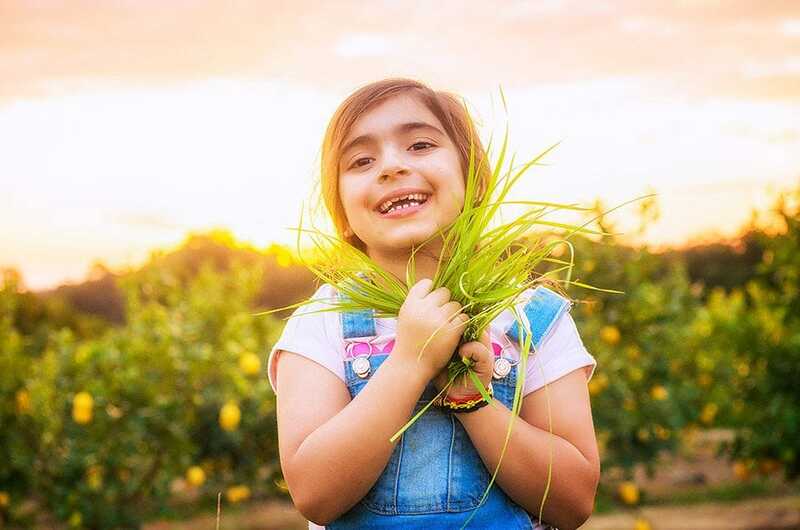 Sustainable farming wasn't often discussed back then, but Ross's grandfather had a deep connection with the land. He was way ahead of his time. Winters were traditionally spent relocating soil that had been eroded away by the farming techniques of the time. By setting up erosion sediment traps and removing deep drains, Ross's grandfather prevented much of the erosion. Ross and his father continued the legacy of sustainable farming and environmental protection. Today, the grassy sediment traps are a wildlife haven. Ross works closely with the University of Western Sydney assisting entomology doctorate students with research into biological insect control.  Ross describes himself as a 'community agitator', promoting good causes and pursuing major environmental issues through the relevant authorities. He holds an interesting collection of local historical documents and photos, which he has shared with the community. Ross also enjoys repairing his farm equipment in his own machine shop. 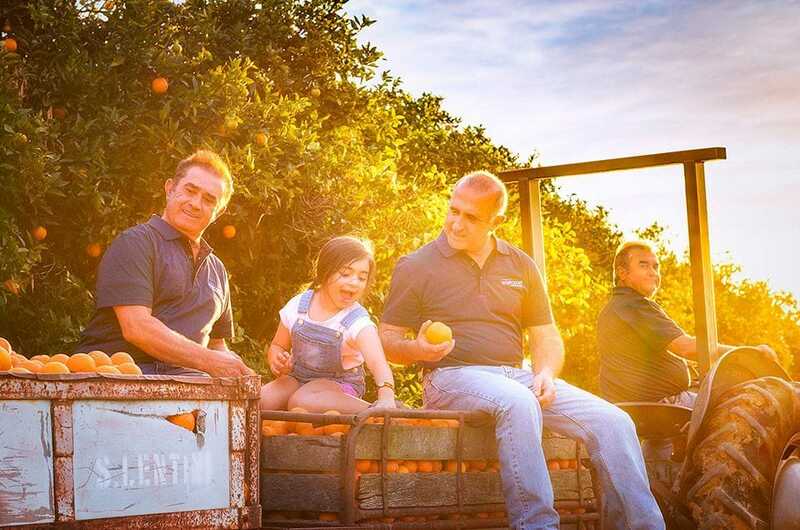 Thirteen years ago, the Hoddle family decided to take advantage of their perfect climate and land to grow citrus fruits. 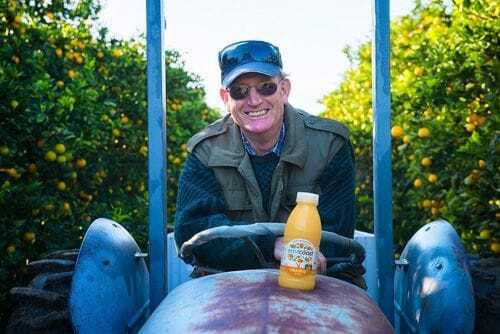 They now have 23,000 trees across 40 hectares, supplying Eastcoast Juices with the sweetest, juiciest Salustiana oranges throughout winter and spring. With three generations of farming history behind him, Robert Hoddle knows a thing or two about sustainability. Robert takes care of the environment by using the latest drip irrigation technology, integrated pest management and recycled citrus peel.